When I was fourteen I was faced with a choice. I had to decide which 8 subjects I was going to study over the next two years leading to the GCE ‘O’ level examination. For those who are not familiar with the school leaving examinations in Britain in the 1950s, the initials stand for General Certificate of Education, Ordinary level. This exam was taken by a relatively small proportion of 16 year-olds. An even smaller proportion continued for a further two years and took ‘A’ (for advanced) level GCEs in 2 or 3 subjects leading either to university or a training place in a profession like law or accountancy. The majority of young people left school and entered the workforce at age 15. The choice for me and my colleagues was fairly simple. Six subjects were compulsory: Maths, English (Language and Literature), French, Latin and Physics. The choices were limited to Chemistry or Geography and History or Art. Believing that a second science subject would be of greater use in my later life, I chose Chemistry over Geography. I had no obvious talent for Art, but History would mean learning a lot of dates and other facts by heart. The fact that I regularly earned high marks for history essays I discounted. This was, I knew, much more to do with my ability to precis the relevant chapter from the text book than any real affinity with the subject. I figured that it would be hard enough filling my brain with the science facts I needed, without trying to stuff in the sequence of Kings, Queens and Prime Ministers, the dates of battles and the underlying reasons for wars. I chose Art. To my surprise I discovered I did in fact have a talent for painting and drawing. But I missed out on the opportunity to study much of 18th and 19th century history. The period from the Industrial Revolution to World War I remained vague for me, apart from the scientific discoveries I learned about whilst studying those subjects. Only when I began to take a keen interest in the cultural and social environment of the 1960s and ’70s did I realise the significance of this gap in my knowledge. Knowing more of the history of the Trades Union movement, for example, and the formation of the British Labour Party, would have helped me better understand the many industrial disputes that characterised the period. Learning about the factors underlying the American Civil War and its aftermath would have made it easier to understand the Civil Rights movement and the accompanying violence. And knowing about the Irish famine and the campaign for Home Rule would surely have improved my understanding of the ‘Troubles’ in Northern Ireland. Of course, such events generated articles in the press and television documentaries that went some way towards explaining the background to them but it was not until the 1990s, when I purchased all three volumes of Simon Schama‘s History of the British Isles, that I grasped something of the importance of history in our understanding of current events. Then, in 2007, came a discovery that, for me, had quite profound implications. It was in that year I made my first visit to a heritage site close to my new home in Ireland. The site consists of a rocky knoll nestled between several other hills. Surrounding its peak is a crumbling stone wall and, at the peak, the remains of a Norman castle keep. (At the top of the page is an image of the site from local photographer Ciara Drennan). 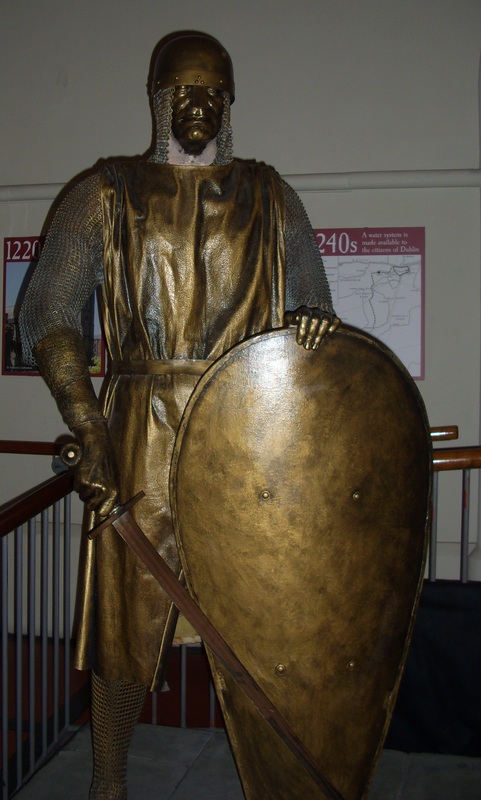 The Norman invasion of England had, of course, been almost the starting point for my historical studies up to the age of fourteen, as it is for every British school child. And I knew about Norman castles because I grew up within half a mile of one of the chain of such buildings that mark the border between England and Wales. I knew much less about the Norman’s involvement in Ireland. My interest was further piqued when I read, on the information board at the site, that the castle was once occupied by Roger Mortimer. That name rang bells. I knew that one or more men of that name had a base in my native Herefordshire and had played significant roles in English history in the 13th and 14th centuries. What, I wondered, was his connection to Ireland? Was it even the same man? Thus began a long and fairly detailed study of the Normans in Ireland during which I discovered that Mortimer was not alone in being someone with Herefordshire connections who played a leading role in Irish history. Names like Strongbow and De Lacy are probably better known in Herefordshire than in Ireland, if only because they live on in place names or, in Strongbow’s case, the name of a Hereford produced product. 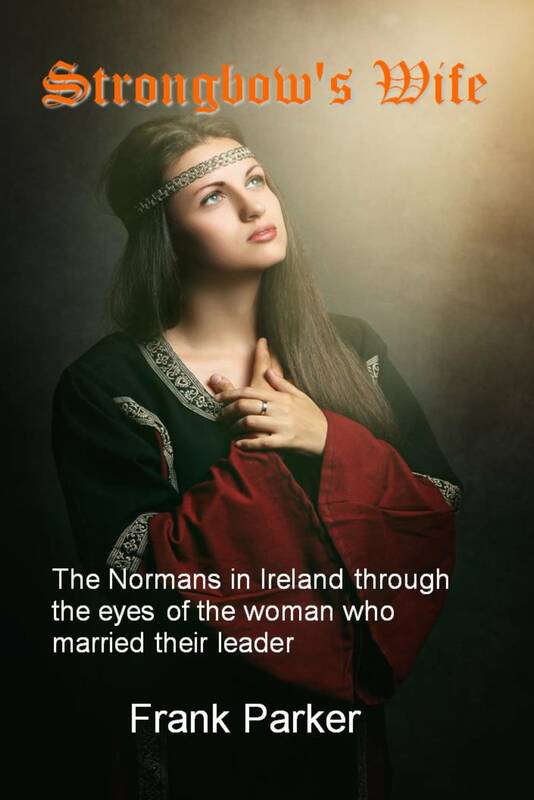 As I learned more, I became particularly attracted to the story of a young woman whose father invited Strongbow to Ireland, offering her hand in marriage in return for his help in regaining her father’s kingdom. I wondered what it might have been like to be the 13-year-old accompanying her father and mother on a journey across England and France in search of the King whose permission they would need in order to engage his subjects in their quest. How did she respond to the subsequent events, including the long wait for Strongbow to fulfill his promise? What became of her after his death? My answers to those and many other questions can be found in my novel Strongbow’s Wife. The research I undertook, thanks to the ability to precis the relevant chapters of history books that once earned high marks for school history essays, became the section of this website I call Hereford and Ireland History. I now believe that history ought to be one of the compulsory subjects tought in every school. Without a knowledge of history how can we begin to understand the events of today? But that belief is clouded by another thought: there are many different versions of history, depending upon whose story is being told. Which, if any, is the one that we should teach our young? By franklparker in General posts, Hereford & Ireand History on April 9, 2016 . Fascinating blog post on the value of learning history.